It is an exciting time in retail these days with AI and AR and so much more knowledge of the customer and what he or she wants. 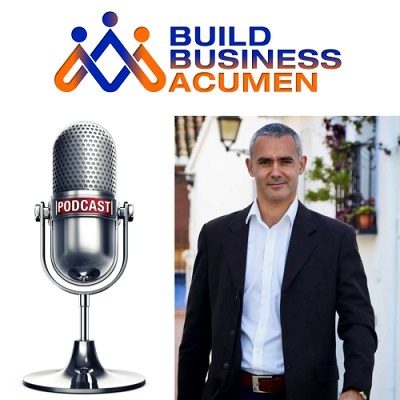 In this short podcast we share lots of useful information, extremely relevant for any retail management executive, shop owner or marketer. Me: Hi there Mel it’s it’s great to see you, we met over in Las Vegas when IBM took us out there to Think Marketing and today we’re going to talk about retail. I’m really quite excited! But before we get to that I’d like to introduce you, you’re Melissa Gonzales you are the founder of the Lion’esque Group and that’s a multi award-winning firm of retail strategists. 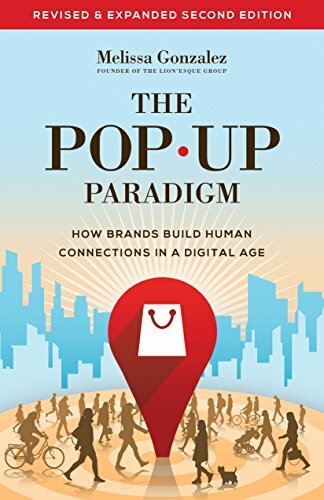 You’re based in New York right and you’re also the author of The Pop Up Paradigm: Building Human Connections in a Digital Age and I’m really excited actually to talk to you because I used to be in retail for many years I was I was in prestige wine retail in England and yeah I think it’s it’s quite an exciting time really in retail. Mel: Absolutely I mean you know having come from wine you understand experiential and I think that we’re in a stage where you know traditional retail brands are really starting to understand the benefits of that so it’s been really fun helping you know our clients kind of two buckets- digital natives looking to go into their first try at brick-and-mortar so helping them with the physical manifestation of their online persona right; is a really fun challenge and always something new we can bring to the table. But then also some of those traditionally wholesale distributed CPG brands (consumer packaged goods) that are now saying “We need experience” locations so you see brands like Kellogg’s right. Kellogg’s cafe now in Manhattan and you can go get your Froot Loops whatever and so it’s a really fun time, it’s not just transactional anymore. Me: Wow yeah I did hear something about some sort of a tea shop that was that was being created over here like for one of the tea brands like I think it was Tetley or or someone like that but I think it’s a very interesting time because if augmented reality and virtual reality and stuff like that I think we’re in a bit of a sort of transitional phase. I mean we’ve always had the customer experience haven’t we and we’ve always we’ve always attempted to provide a good customer experience and behave as an ambassador for the business right, which is which is old. A lot of retailers have been struggling. Mel: Yeah I mean I think it’s all about mind share, they can buy anywhere, so you really want to focus on creating destinations that open their minds to you know what your brand is bringing to them! It’s not just about the product, it’s the lifestyle that you’re conveying, it’s the added benefit that maybe they don’t fully understand when they just see a product online or through their Instagram feed and it’s by creating those experiences that are those aha moments you increase dwell time when you get somebody to spend more time with your brand then you leave a deeper connection and also think about there’s multiple sentences in which you can interact with the brand right so the you there’s one thing to see it but then there’s numerous tactile experiences; they could touch it, what are they listening to what are they smelling and just thinking of all those sensory elements in your store, because all of those will trigger them to remember the moments that they had in your store. Example: I mean I think of when I was young, when I didn’t really need any bread and walked by a bake shop and smelt the scent of bread automatically making you think you want to eat it right! Because it just triggers something with you emotionally, so the more brands can do that the deeper the connection they’ll have with their consumer and it helps you kind of differentiate yourself and some of the other brands that they might be considering right. Me : I agree I mean do you do you think that business is doing enough to get customers to content for them on social media? Mel: I think they’re doing it more and more but you know it’s a tricky thing too, because I think it’s interesting there are definitely buckets of people that are online. There’s always those first movers and influencers and then there’s kind of those micro communities that kind of fall right after that. Then there’s those late adopters and what triggers each one of them to share is a little bit different. So you know really I think brands are learning to be more and more targeted about understanding what motivates people and what’s their call to action. I think that’s the important part you can’t forget, what is the call to action? Conveying that right is key. You know right now you there are so many destinations in New York City in LA and in Miami. Brands are just investing even in murals on the exterior of their stores; you can create this beautiful imagery and because everybody today wants to be their own content creator, the more brands can empower that inner creative, then the more people want to share this. and then it goes through all of their feeds and then they’re like where was that I want to go do that too. So I think it’s like making sure you’re investing in what’s going to resonate with the target that you have what’s going to make them feel empowered? People think of experiences as currency today, so what are you going to do to give them that experience? Then you know making sure you have that call to action whether it’s you know, just share or share your opportunity for X Y & Z. People always like to be rewarded in addition to sharing so I think for the mix of the two if you can work that and it’s even more effective yeah. In addition I have written some other posts with some great retail ideas.